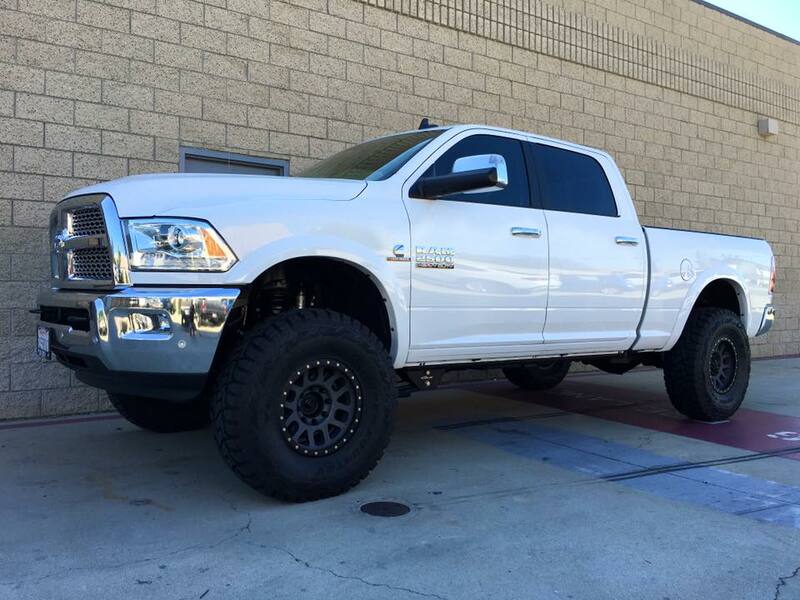 Here is Mike's 5.9 Mega featuring Carli's first production 3" Long Arm Unchained System. 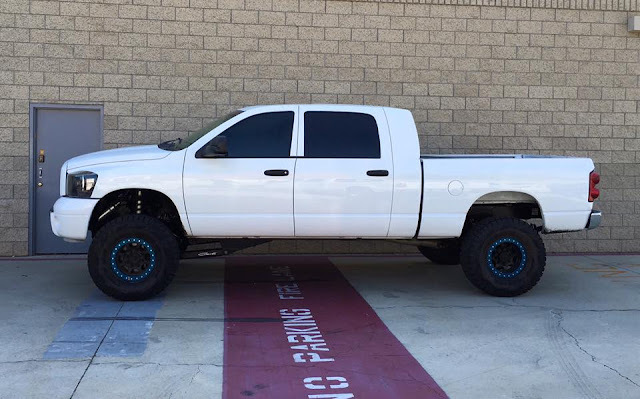 Carli installed the system on this truck and we did some minor steering tweaks. 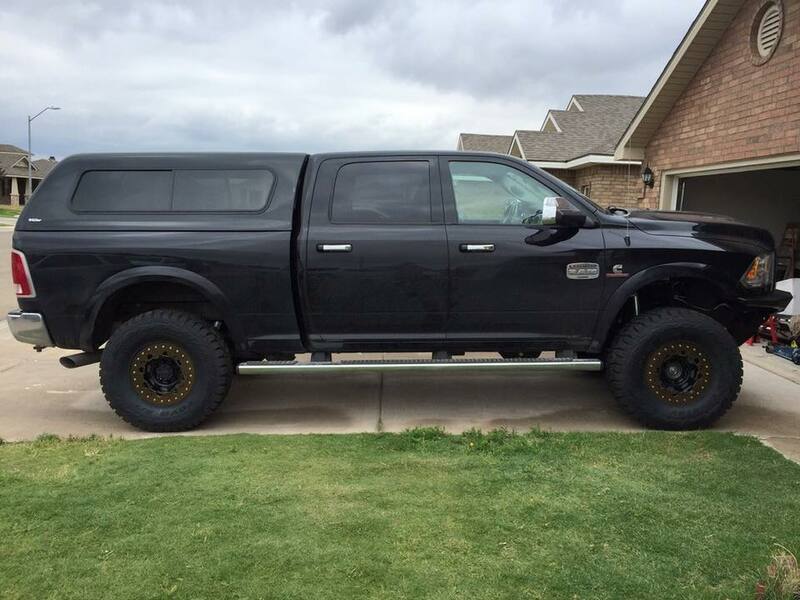 This brand new 2500 is sporting a Carli Commuter 2014+ system, Method Grid Titanium wheels, and 37" Toyo R/T's. We dropped a Revmax 550 into this Mega sporting a Carli Suspension Unchained 6" system, Trail Ready beadlocks, and 37" Toyo R/T's. This 2014 3500 is now rocking a Carli Suspension Back Country system, custom black powder coated Method Standards with OMF rings, and 37" Toyo MT's. 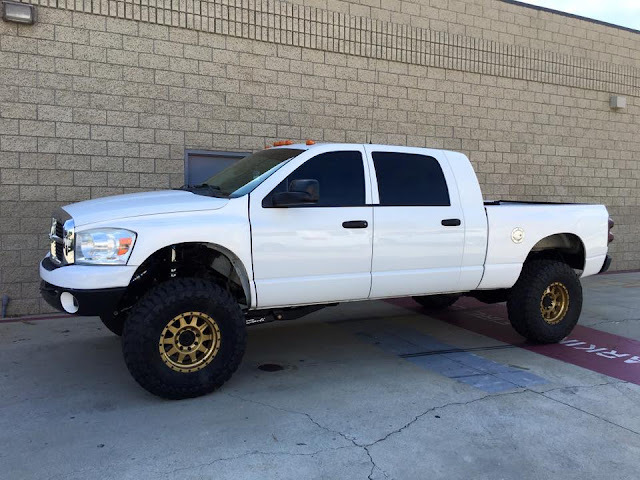 This new 2500 is rocking a Carli Pintop 2.5 system, Trail Ready beadlocks, 37" Toyo R/T's, and a Thuren Fabrication front bumper. 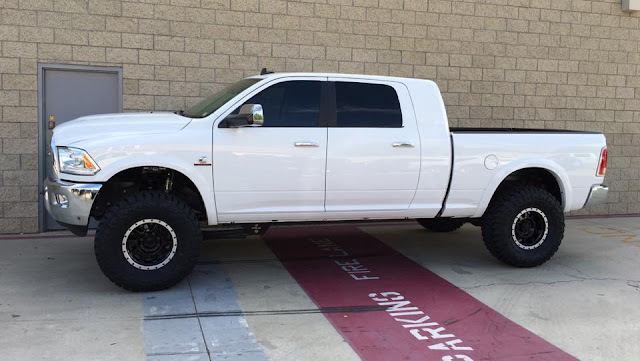 This 2015 Ram 2500 is sporting a Thuren Fabrication Fox 2.0 IFP Leveling Kit with 20" Fuel Trophy wheels and 35" BFG KO2's. This 2011 F250 features a Carli 4.5" Back Country system with full progressive rear leaf springs, custom machined 22x12 wheels with 5.75" backspacing, and 37" Toyo MT's. This 2500 features a Thuren Fox 2.0 IFP Leveling Kit, Fuel Pump wheels, and 35" BFG KO2's. This 2016 Ram 3500 features a Carli Back Country system with 35" Toyo ATII's on the factory 20" wheels. For more information on the Carli Suspension systems listed on this page, click here. For more information on the Thuren Fabrication systems, click here.